Let’s face the truth: we know we’re not that great at time management. We get overwhelmed as to where to start with projects and tasks, we wish we had more time and have about 5 books where we write ideas and plans (let’s not forget the phone here)! Then comes the cherry on top: we procrastinate because it’s easier than looking at the mountain of stuff we jotted down on the forever-ending to-do list! So, what on earth is time management anyway? When I was an Area Manager for Clarins, I managed to secure an appointment with Harrods’ buyer for the Christmas selling. As you can imagine, this was quite difficult, as she was in high demand. On the day of the appointment -an hour before to be precise- I receive a call from a Department Manager asking me to go to a store that I was looking after. Flossy* was caught stealing and I needed to dismiss her on the spot. As police were involved, there was no time to waste; I had to be there. You can probably imagine how less than pleased I was with things as I made my way over to the store. The following day, I was overwhelmed… Thoughts kept running through my head: “When will I have another meeting with the buyer? How will my diary cope? Surely I’ll have to move someone else to fit in this busy buyer?” I was a new Area Manager, I wanted to impress and was looking after 180 staff members at the time. Pressure mounts and the human mind is a powerful tool that likes to override everything… “How can I do everything that is asked of me?”, I thought. *While Flossy is a fictional name, the scenarios are real… We all have to manage a ‘Flossy’! It was like a lightbulb moment. From this invaluable piece of advice, I created ‘7 Key Elements For Time Management’ that I teach my clients to ensure they stay focused. If ever you’re wondering, I ended up managing up to 230 staff members. You could have added another 100, I would have coped; my process would have been the same. Time management was and still is, my priority. If you force yourself to focus on properly managing your time for at least 3 months, you will get into a winning habit. Make a promise to yourself to give it a go, and put reminders in your office and calendar or agenda. Draw up a list with a column for your workload and another for personal matters. It’s important to put both your personal and business lists together. This will help you make time for both and achieve an enjoyable work/life balance. Stop starting lists all over the place – one on your phone, one in a notepad – group everything together so you can see the big picture. The more books or notepads you have, the less productive you become. The power of 1 always works! Get a yearly calendar and mark important dates such as monthly team meetings, individual meetings, networking events, etc… If you do this well in advance, it will allow you to work out when you need to prepare, when you can fit in your holidays and so on. Note that whether you’re away or not, your team meetings should still be happening – another reason to pre-fill your calendar. The end of the year is perfect for planning the year ahead, but if things are really too manic in the salon, start with planning 3 months in advance. Quarterly planning is a great place to start. 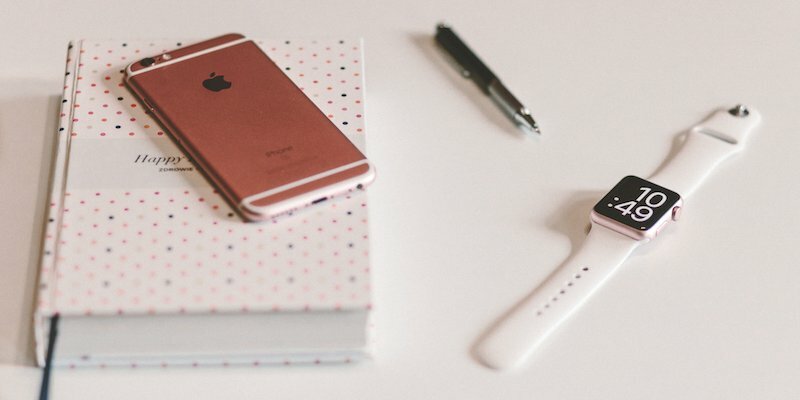 If time management becomes your priority (and it should! ), you must dedicate a couple of hours at the beginning of each week to sort out your to-do list and your weekly priorities. Print out your to-do list and as you go through the week, tick what you have achieved. Every Sunday/Monday, update your list and again, work on your priorities. What happened this week? Did you achieve what you had planned for? This is the most difficult rule to follow because when you’re busy, everything is a priority. But if you write down your tasks and look at your calendar, you will know where to start. Be realistic; personally, I put maximum 2 priorities a day. If I know there is a day where that won’t happen, I put aside the priorities for that day. Alternatively, if I do have 5 minutes, I’ll do something on my to-do list. Carry a little book with you at all times and write down what comes to mind… This frees your brain from stress and anxiety. When you do your weekly update, take what’s most important from this list. You will end up being very creative. Time killers come in various forms. Think about the customer who wants to chat for ages, the therapist who wants to tell you about her night out, your friends, partners, etc. It’s down to you to manage them. Time management is at the centre of everything you do and ultimately gives you freedom. Whether you are an early riser or not, it’s the process that counts. However, it’s important that you visualize what you want the extra time for as it will motivate you and help you be consistent. Click on the image to save your spot on this webinar. The only magic key in time management is you! Procrastination only ever happens because you are overwhelmed with the tasks you have set yourself up for. It’s crucial that you focus on one task at a time. Let me put it this way: if tomorrow you decide with your husband or best friend to go away for a weekend, doesn’t that take priority? Will you look at flights straight away? Suddenly, this is so exciting we put it at the top of our list and we somehow find the time to make that happen! Turn off your phone and email notifications. Dedicate your full attention to the task you choose. Give yourself one or two hours, and just do the task at hand. If you do this, you will be very efficient. Don’t forget to manage everyone’s expectations: “I have five minutes for you.” In fact, when I was managing, I always had an open door policy. That being said, I managed my team’s expectations by saying that a couple of hours a day, there was going to be a scarf on my door which meant that unless there was blood, fire or death, I did not want to be disturbed. These couple of hours allowed me to focus on my daily priorities and become extremely efficient! Featured imaged shot on location of GMALE Barbers, in Dublin. © 2017 Phorest Salon Software. Valerie Delforge has been in the beauty industry for over 25 years giving her a strong understanding of the various challenges owners and managers face in their businesses. As a Business Strategy Consultant, she has established a proven track record of achieving set targets, year on year strategic growth and has inspired teams she works with to deliver high standards of service consistently. Valerie's commercial experience of working with brands such as Clarins, Urban Retreat, L’Occitane and Steiner is one of her strongest suits in assisting salon teams to focus their work on easy-to-implement key strategies. 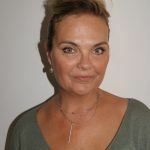 You can book a free mentorship consultation with Valerie over on salonmentors.phorest.com. ManagementWhen Is It Time To Hire An Assistant Salon Manager?